Reflect on the joy that can be yours because of Jesus in Jesus Always Large Deluxe, bestselling author Sarah Young's first 365-day devotional since Jesus Calling(R), now available in large deluxe binding with Scripture written out, large Comfort Print(TM) text, and a beautiful leathersoft cover. Experience true joy-now and always. Life today is full of difficulties-loss, sadness, fear. In the midst of these challenges, joy often feels impossible or out of reach. But Jesus has more for His followers than a life of striving, pain, and discontent. He offers life abundant, life brimming with joy! 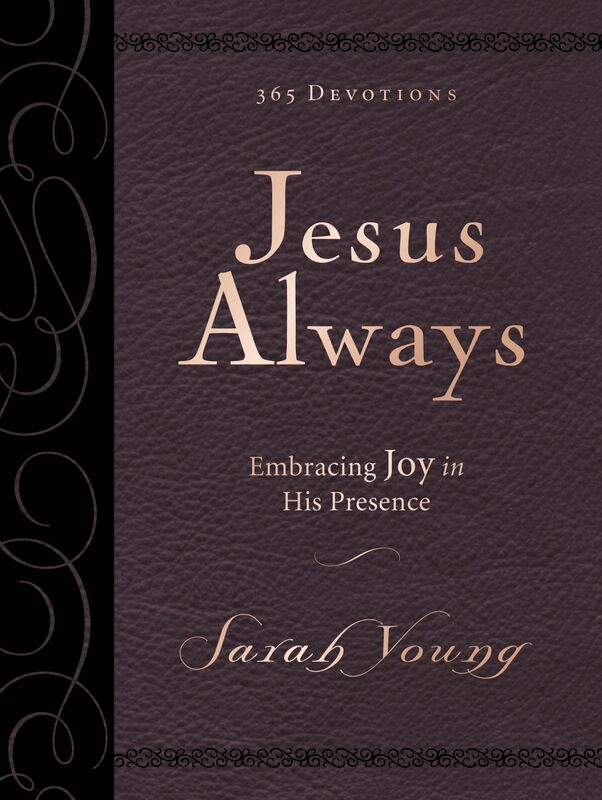 Jesus Always, the new 365-day devotional from bestselling author Sarah Young, was written as part of Sarah Young's exploration of the promises of joy in Scripture. Written as if Jesus Himself is speaking directly to the reader, Jesus Always invites you into a new way of living-a life of joy. This large deluxe comfort print edition includes easy-to-read large type and the full Scripture verses written out. Reaching out with joy-filled reminders from the Word of God, these devotions will intimately and gently connect you with Jesus-the One who meets you where you are. Draw near to Him in Jesus Always. 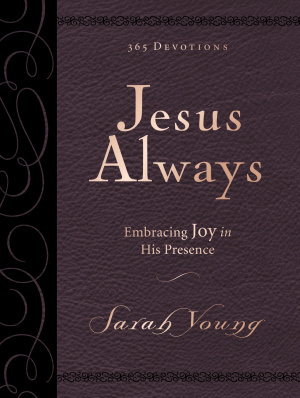 Jesus Always Large Deluxe by Sarah Young was published by Thomas Nelson Publishers in November 2017 and is our 5328th best seller. The ISBN for Jesus Always Large Deluxe is 9780718095413. Be the first to review Jesus Always Large Deluxe! Got a question? No problem! Just click here to ask us about Jesus Always Large Deluxe.